The skid steer concrete claw is a great attachment to have on the construction and job sites. It can replace the jack hammer in most cases. Not only will it save you money it will not be abusive on the body like a jackhammer. It’s designed to break up damaged concrete and to pick up big slabs of broken concrete. 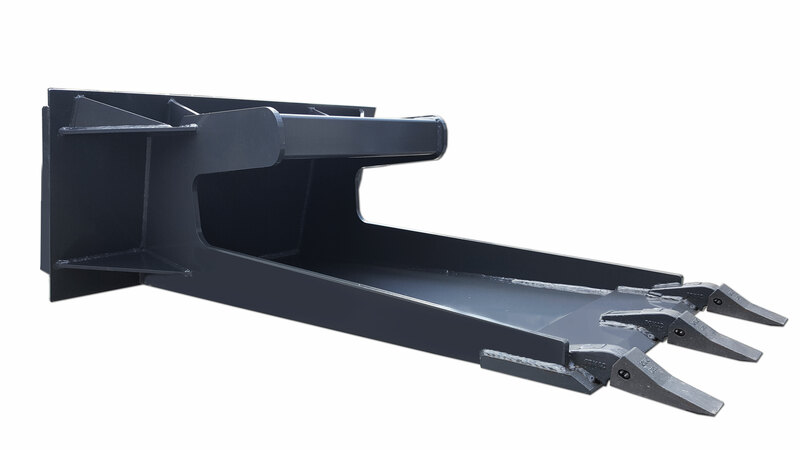 The concrete claw’s strength and design eliminates use pallet forks which are dangerous to use for this purpose. The CID concrete claw is not only used on job sites and construction sites. But also great for driveways and sidewalks. The concrete claw can also work like a stump bucket. To remove stumps, shrubs, bushes, and large rocks. 3/8” bottom & top plates. 4” square tube on top. 1” x 8” edge with 23 series teeth.